Boyds Mills Press, 9781629796017, 32pp. 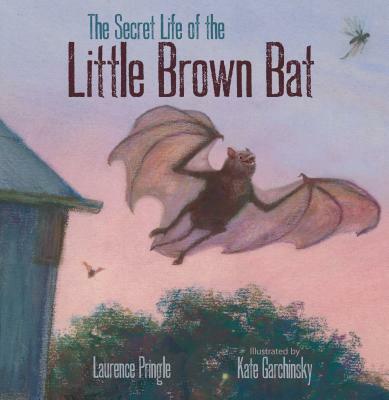 Here is a stunningly illustrated nonfiction picture book for young readers ages 6-9 about a year in the life of a little brown bat named Otis. This gorgeous and lyrical picture book continues the Secret Life series by renowned science author Laurence Pringle and illustrator Kate Garchinsky. It follows a year in the life of a little brown bat named Otis as he learns to be a hunter, escape predators, and find a mate. Stunning, realistic illustrations celebrate the beauty of these mysterious creatures as readers learn important facts through an engaging and fascinating story. The book also includes back matter with more in-depth information, a glossary, and further resources. Kate Garchinsky was born and raised just upstream of John Heinz National Wildlife Refuge at Tinicum and received her BFA in Illustration from the University of the Arts in Philadelphia, with a focus on nature and children's literature. Visit penguinart.com.